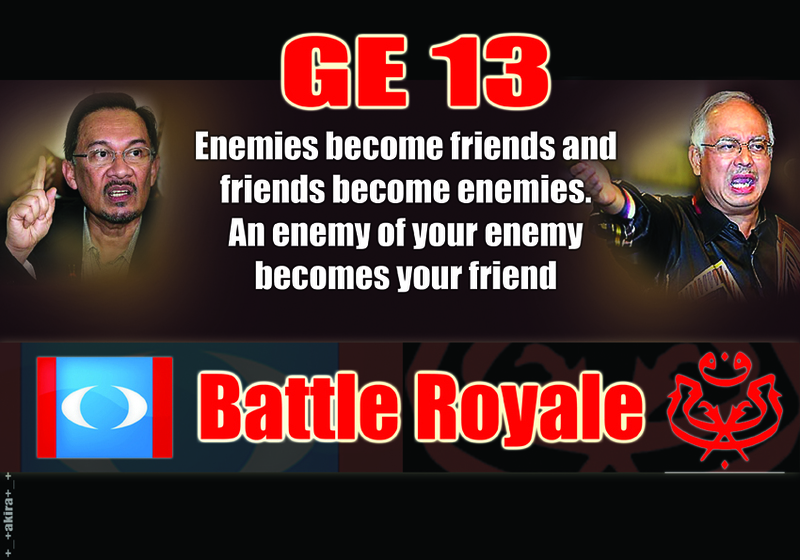 Malaysia’s GE13 is at the doorstep. Every political party and their candidates who will be involved are in full gear in their preparations and are only waiting for the announcement and the dissolution of Parliament. It will be a BATTLE ROYALE ….Do we need to write more..?? Deputy Prime Minister Muhyiddin Yassin is now in Sarikei after spending the last 48 hours in Kuching on his working visit to Sarawak. 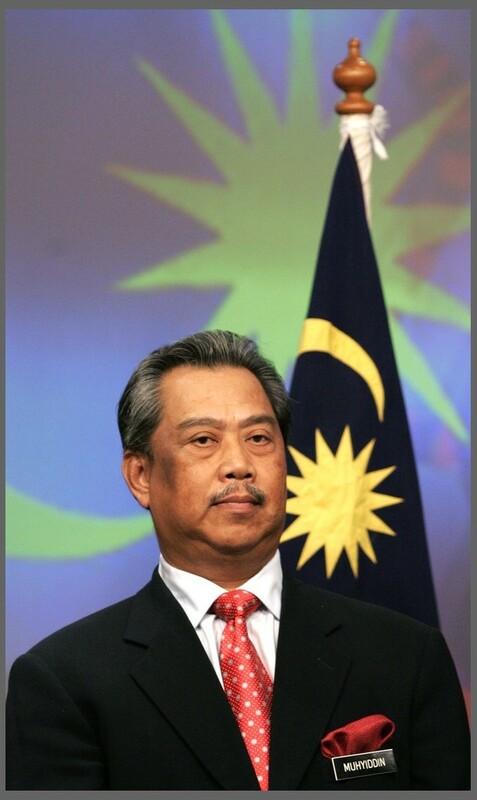 KUCHING: Deputy Prime Minister Tan Sri Muhyiddin Yassin has asked Sarawak Barisan Nasional (BN) leaders to continue focusing on a number of selected areas in preparing for the upcoming 13th general election. Muhyiddin, who is also BN deputy chairman, said the state BN election machinery should find ways to increase voters’ support although they were capable of retaining those seats. “The latest (political) development is that some major changes have taken place, but we need to work harder,” he said at a press conference after attending a gathering with 3,000 civil servants, here, today. Besides focusing on retaining the many seats which BN won in the last general election in 2008, Muhyiddin said there should be more initiative taken for the Sibu seat which BN lost in a by-election in order to win back the seat. Sarawak has 31 parliamentary seats, with BN component parties holding 29 of the seats and DAP, the other two seats. From the briefing on preparations by the Sarawak BN components’ machinery for the coming elections, which was given by state BN chairman Tan Sri Abdul Taib Mahmud and leaders of the four component parties, Muhyiddin said he was satisfied with the initiatives taken. “Sarawak BN will be able to retain the seats won, mostly with a bigger majority,” he said, adding that the voters, whether in the urban or rural areas, would raise matters related to development and upgrading of infrastructure. Asked whether BN would choose “direct” candidates, Muhyiddin said BN had always upheld the principle that candidates chosen to contest in the general election must come from its component parties. He said there was earnestness in finding ways to solve the internal problems of certain component parties by the groups involved. “We want BN to be truly united as a team in facing the general election and they realise that internal squables will only hurt BN’s image,” he said. KUCHING, Jan 27 – Deputy Prime Minister Tan Sri Muhyiddin tonight attended a dinner and briefing with Sarawak Barisan Nasional (BN) component party leaders on preparations for the 13th general election upon his arrival here for a three-day working visit to the state. Muhyiddin, who is also Umno deputy president and BN deputy chairman, also held a closed-door meeting with the state BN leaders at the Parti Pesaka Bumiputra Bersatu (PBB) headquarters in Jalan Bako, here. Also present were Chief Minister Tan Sri Abdul Taib Mahmud, who is also the state BN chairman and PBB president, Sarawak United People’s Party (SUPP) president Datuk Seri Peter Chin Fah Kui, Sarawak Progressive Democratic Party president (SPDP) Tan Sri William Mawan Ikom and Parti Rakyat Sarawak (PRS) president Tan Sri Dr James Masing. Umno information chief Datuk Ahmad Maslan also attended the meeting. In Sarawak, the coming general election will only involve its 31 parliamentary seats and not the state seats as the state election was held on April 16, 2011 where BN won 29 seats, with PBB holding 14 of the seats, SUPP (five), SPDP (four) and PRS (six). The opposition has only two seats, Bandar Kuching and Sibu, through DAP. Tomorrow, Muhyiddin will visit the family members of the late national warrior, Datuk Temenggong Kanang Langkau in Kampung Sungai Apong Baru, here, before attending a gathering with the villagers at the village community hall. He is scheduled to then officially open a business square, Medan Niaga Satok, in Jalan Matang, Petra Jaya, a project by the federal government costing RM46.6 million and now administered by Fama. The deputy prime minister will also be meeting federal and state civil servants at a hotel, here, before attending a casual gathering with youths at the Kuching Integrated Recreation Centre. At night, Muhyiddin will attend the 1Malaysia people’s gathering at Siniawan old town in Bau, near here. On Tuesday, Muhyiddin will have a walkabout and breakfast with local Chinese business and community leaders at RH Plaza, Jalan Stutong, here, before going to Sibu for a leader-meets-people session at Dewan Suarah, Sarikei. 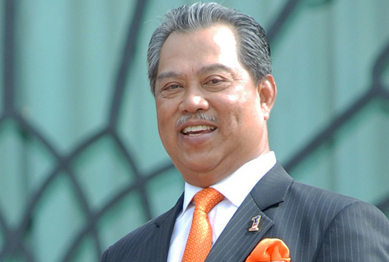 Muhyiddin, who is also Education Minister, will attend a 1Malaysia Young Teachers’ gathering at SMK Sacred Heart in Sibu before returning to Kuala Lumpur the same evening. SPDP is BN and BN in Mas Gading is SPDP and any other claim is nonsensical. My advice to all the people spreading lies about dwindling support for SPDP and BN to immediately stop their act lest we give credence to our common opponent. “Concentrate on defending the seat (Mas Gading) for BN. Do we need further leverage than this with what PBB Deputy Information Chiefs statement today that he too is throwing his weight behind SPDP’s chosen candidate. Isn’t this 1BN unity which BN Sarawak SG Dr.Rundi have been preaching.? 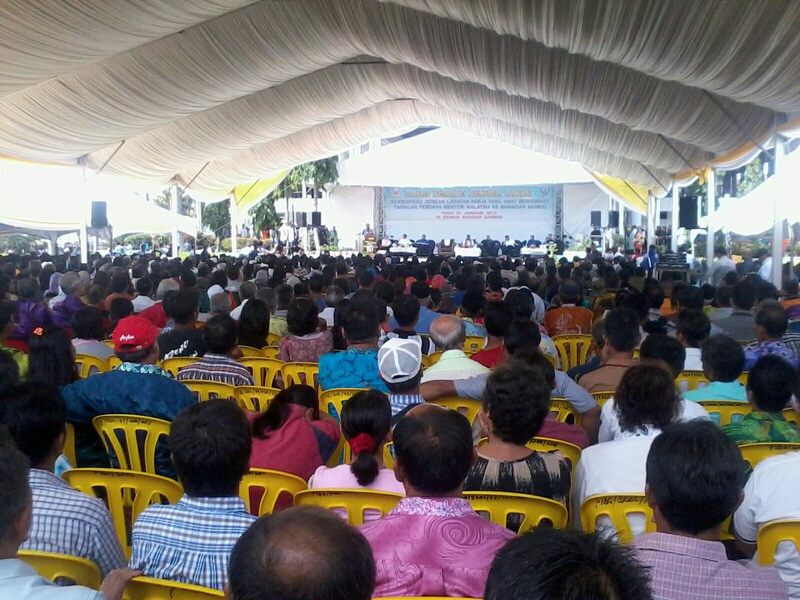 Well done and SPDP and PBB are truly showing the spirit for 1BN for GE13. HIDUP 1BN! HIDUP SPDP! HIDUP PBB!